pingStation - uAvionix Europe B.V.
PingStation is a dual band (978MHz and 1090MHz), networkable ADS-B receiver with a Power-Over-Ethernet (POE) interface enclosed in an IP67 rated protective enclosure. 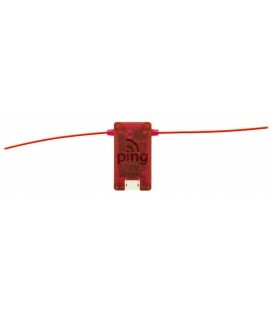 PingStation provides ground, surface, or low-altitude ADS-B surveillance within line of sight of the antenna, with range dependent upon the output power of the transmitting ADS-B transceiver. PingStation is robust enough to be permanently mounted outdoors in harsh environmental conditions and small enough to be used as a mobile asset for roaming operations. Installation is simple with included pole mount bracket and requires a single POE cable which provides both power and data communications. An integrated GPS provides position and precision timestamping for messaging. Multiple PingStations may be networked together to provide a wide area low-altitude surveillance volume. Data messages are available in JSON or Compressed VRS. Detects ADS-B equipped aircraft on 1090MHz and 978MHz within a 150-mile radius in real time. 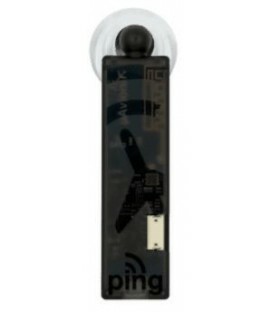 PingStation is designed for extreme weather. The corrosion-resistant IP67 housing is suitable for harsh environments. A lightweight design and minimal profile reduces wind loading. Low-power and low-heat design requires no cooling.